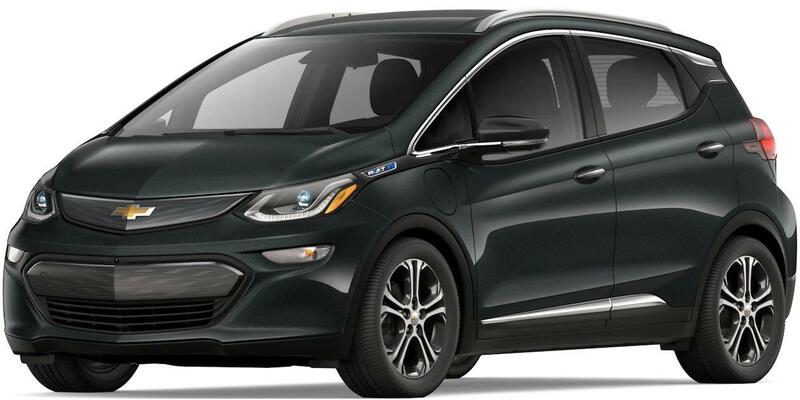 Bolt EV is the first affordable all-electric car to offer an EPA-estimated 238 miles of range on a single charge.† It has a long list of impressive characteristics, including some of the most technologically advanced features, stand-out looks and plenty of space. Because life never stops, here’s an electric vehicle that can keep up. Did someone say road trip? 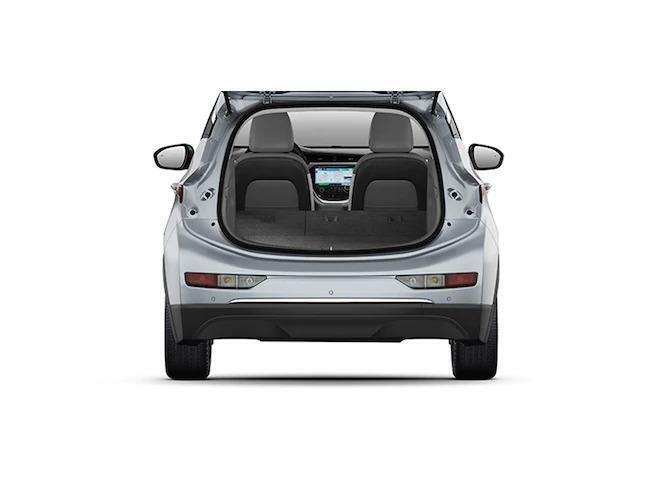 With up to 238 miles of pure electric range on a full charge,† Bolt EV can take you anywhere. Just download charging apps on your smartphone to find charging stations along the way. Did you know the average daily commute is about 40 miles round trip? 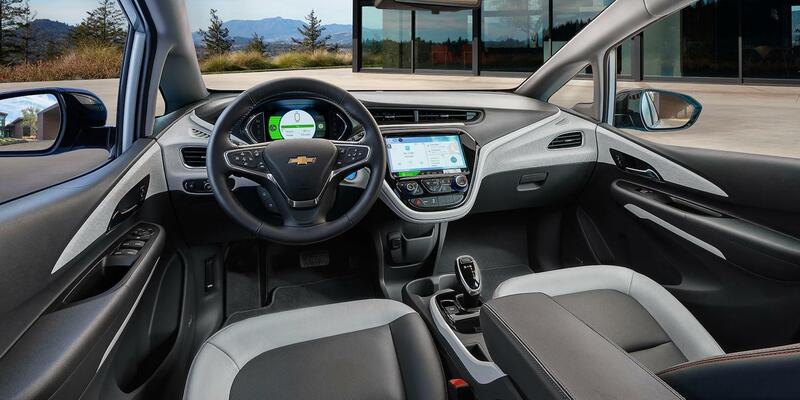 With an EPA-estimated 238 miles of range on a single charge,† you can get through the day – perhaps even three or four days – without needing to plug in. Bolt EV is revolutionizing the way you drive electric cars. Go from your everyday route to extracurricular activities without missing a beat. You can even take a road trip. 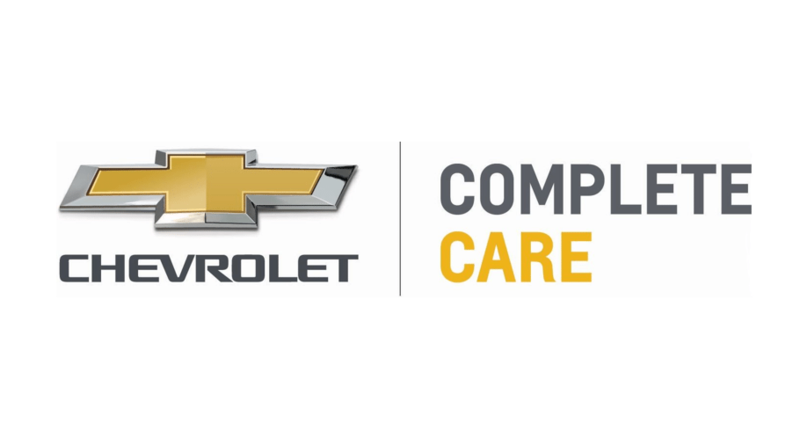 Any of these services can be performed at any Chevrolet Bolt EV-certified dealer. 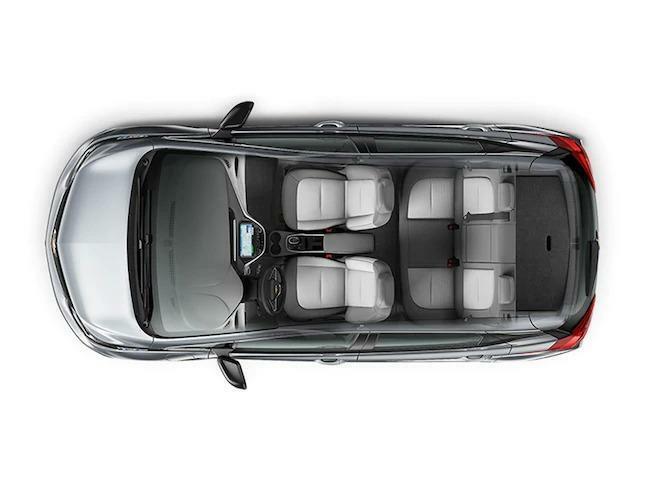 See detailed vehicle information at a glance. Plus, you get to customize the type of data you want displayed based on your personal preference – from Classic to Modern and Enhanced Visual Modes. This screen breaks down the percentage of energy used during driving, including your climate controls and battery condition. See how your total energy is being used in a bar graph format that displays energy efficiency in 5-mile intervals for the previous 50 miles. This is an index score based on factors that may influence energy consumption, such as driving technique, terrain, climate settings and outside temperature. This available advanced feature monitors how close your vehicle is to the vehicle in front of you. If the system determines that a front-end collision with a detected vehicle could occur, it alerts you of a potential crash†. If a collision with a pedestrian directly ahead is imminent and the driver has not already applied the brakes, this available system alerts the driver and can automatically apply the brakes to help reduce the collision's severity or possibly avoid it altogether†. 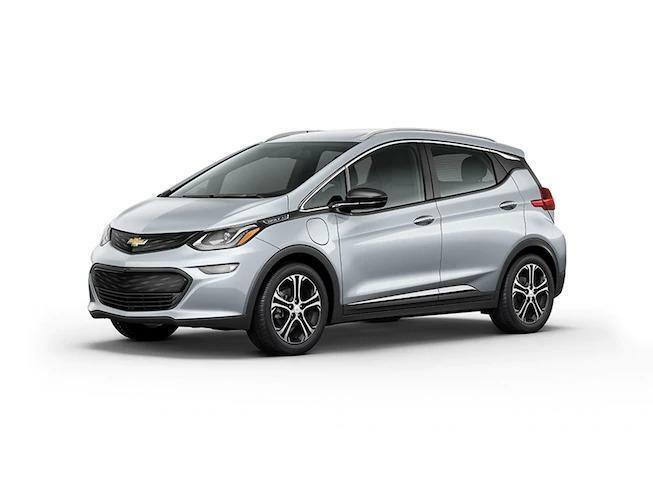 When Bolt EV is traveling below 50 mph and the system senses that a front-end collision with a detected vehicle is imminent, this available feature automatically applies the brakes to potentially help reduce the severity of impact. It may even help avoid a collision altogether at very low speeds†. If you unintentionally drift from your lane without using your turn signal, available Lane Keep Assist can provide alerts and gentle steering wheel turns to help you get your vehicle back in place if you don't take action. It can provide lane departure alerts when lane markings are crossed†. When in Reverse, this feature provides the driver a view of the scene directly behind the vehicle on the color touch-screen display to help them park and avoid nearby objects during low-speed maneuvering†. When in Reverse, this feature provides alerts to help the driver avoid crashing into approaching detected left- or right- cross traffic (e.g., out of a crowded parking space or driveway with side obstructions)†. This available technology provides side mirror alerts to warn you when detected vehicles are moving in or rapidly approaching your side blind zones, helping you avoid a collision when you're performing a lane change maneuver†. Using ultrasonic sensors, available Rear Park Assist senses stationary objects and warns you if a detected object is too close†. This available technology allows the rearview mirror surface to double as a video screen, providing the driver with a wider less obstructed field of view behind the vehicle than a traditional mirror†. This available technology uses strategically placed cameras to create a virtual bird's-eye view of the vehicle to help you when you're parking or traveling at low speeds. The system is made up of four cameras - the standard rear vision camera, a forward-looking camera in the front grille and one under each side mirror of the vehicle†. † EPA-estimated 238-mile EV range. Your actual range may vary based on several factors including temperature, terrain, and driving conditions. † As low as $29,995 after federal tax credit. After-tax amount shown includes full $7,500 tax credit after $37,495 MSRP. Tax credit ranges from $0 to $7,500. Tax, title, license and dealer fees extra. Actual savings from the federal government depend on your tax situation. Consult your tax professional for details. † Tax, title, license, dealer fees and optional equipment extra. † With second row seats folded flat. Cargo and load capacity limited by weight and distribution. † EPA-estimated 238-mile EV range. Your actual range may vary based on several factors including temperature, terrain, and conditions. † Charging rate varies based on output of the charge unit, vehicle settings and outside temperature. † Safety or driver assistance features are no substitute for the driver’s responsibility to operate the vehicle in a safe manner. The driver should remain attentive to traffic, surroundings and road conditions at all times. Visibility, weather and road conditions may affect feature performance. Read the vehicle Owner's Manual for more important feature limitations and information.